LOS ANGELES, Feb. 7, 2019 /PRNewswire/ -- Hubject, the eMobility market expert and globally recognized leader in EV charging interoperability, today announced that it is collaborating with EV charging leader Greenlots to deploy its innovative, customer-friendly ISO 15118 Plug&Charge technology in North America. Customers with new, Plug&Charge-enabled vehicles will no longer need to worry about using an app or card to pay for their charge. 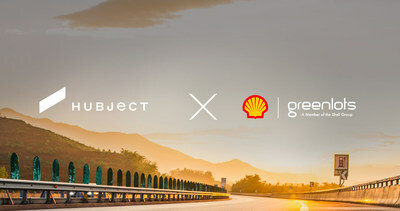 This achievement is the result of a partnership between Hubject and Greenlots, a US-based leader in EV charging and energy management software and solutions and a wholly-owned subsidiary of Shell New Energies. With Hubject's Plug&Charge ecosystem and public key infrastructure, Greenlots' SKY™ network will be capable of securely authenticating and authorizing EV charging simply by plugging into the vehicle. This technology has the potential to render RFID card and app-based payment systems obsolete within the next few years, making EV charging simpler and more accessible than pumping gas. Hubject simplifies electric vehicle charging. Through its eRoaming platform, called "intercharge", the eMobility specialist connects charge port operators and eMobility service providers, thus providing standardized access to charging infrastructure regardless of network. With over 100,000 connected charging stations and more than 300 B2B partners across 26 countries, intercharge is the world's largest cross-provider of charging networks for electric vehicles. Hubject is also a trusted consulting partner to automakers, charging providers and other EV-related businesses looking to launch eMobility services or implement Plug&Charge using ISO 15118. Thus, Hubject enables eMobility to make a breakthrough worldwide. Founded in 2012, Hubject is a joint venture of the BMW Group, Bosch, Daimler, EnBW, innogy, Siemens and the Volkswagen Group. Hubject's headquarters is located in Berlin, with business units in Los Angeles and Shanghai.